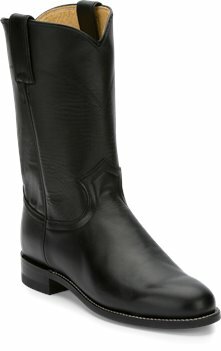 An understated classic, the Cora 10-inch tall Women's roper boot is a simple black boot with a traditional silhouette. 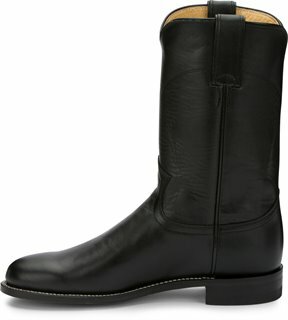 The quality leather exterior glistens with the sheen of a never-been-worn boot and its round toe and unit heel provide a relaxed fit in and out of the stirrup. The J-Flex Flexible Comfort System® insoles keep things comfortable with leather-covered cushioned insole and triple density insole board.